Joined on September 21st 2013, last online 1 day ago. "You've noticed that too, huh? People on this board are either THAT ignorant, or they really do have an agenda." I have not played it....but Mass Effect series avatar? 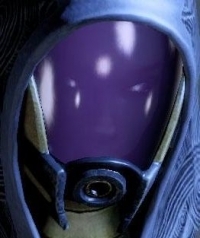 Yeah, it's Tali'Zorah from the three Mass Effect games. That is what I thought. I added her image to the Mass Effect database here. Only reason I knew it. Not sure how much you know about the trilogy. But it really makes you care about characters. And she was easily the one I cared about the most. I had just completed the final game, and I couldn't NOT make her my avatar. I ony have the third one on Wii U. So you had a relationship with her? Not sure why I never saw this before, but yeah, she was my relationship in the game. Wow. Old post! Forgot the Wii U has even been around this long. Have You Signed up to the Epic Games Store? CladInShadows hasn't added any games yet!